From the valley station of Zermatt’s Sunnegga Cable Car, an elevator takes you directly to the front desk of the CERVO Mountain Boutique Resort, right next to the ski slopes and hiking trails. Zermatt Train Station is a 10-minute walk away. The CERVO consists of 7 chalets with spacious rooms and suites. Every chalet features its own spa area with a sauna, steam bath, terrace, massage room, and relaxation room with an open fireplace. 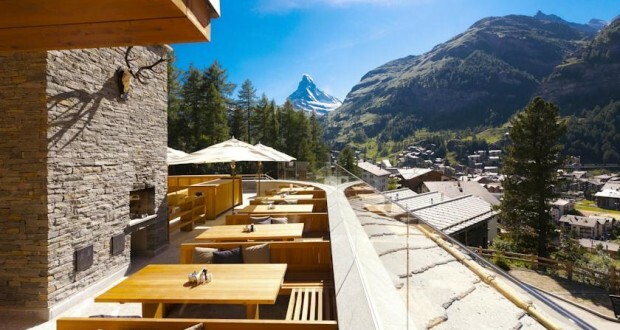 The terrace offers panoramic views of the Matterhorn Mountain. Guests can enjoy lunch and dinner at the elegant restaurant, which serves selected regional specialties and fine wines. Upon arrival and departure, free transportation services are available between the hotel and the train station and village entrance of Zermatt.